KYIV, Ukraine—Russian revanchism has spread beyond the battlefields of Ukraine’s Donbas region into a global, hybrid conflict that has redrawn the balance of power in Eastern Europe and pitted the world’s two largest nuclear powers against each other. “When a country can come interfere in another country’s elections, that is warfare,” U.S. Ambassador to the United Nations Nikki Haley said on Oct. 19, referring to reports of Russian meddling in the 2016 U.S. presidential election. Russia has been honing its hybrid warfare playbook in Ukraine for almost four years. Consequently, when it comes to Russia’s hybrid war against the West, all roads lead back to Ukraine. “We must finally wake up and unite against this imperialist Neo-red threat posed to the free world by the current Kremlin administration,” Ukrainian Foreign Minister Pavlo Klimkin told MailOnline, a British news site, on Wednesday. “We suffer at the hard end of Russia’s hybrid war, which they unleashed on the world in 2014 with the invasion of Crimea and Donbas in my country,” Klimkin reportedly said in the interview. Nothing has been the same between Russia and the West since patch-less Russian soldiers—the “little green men”—stormed into Crimea in March 2014. 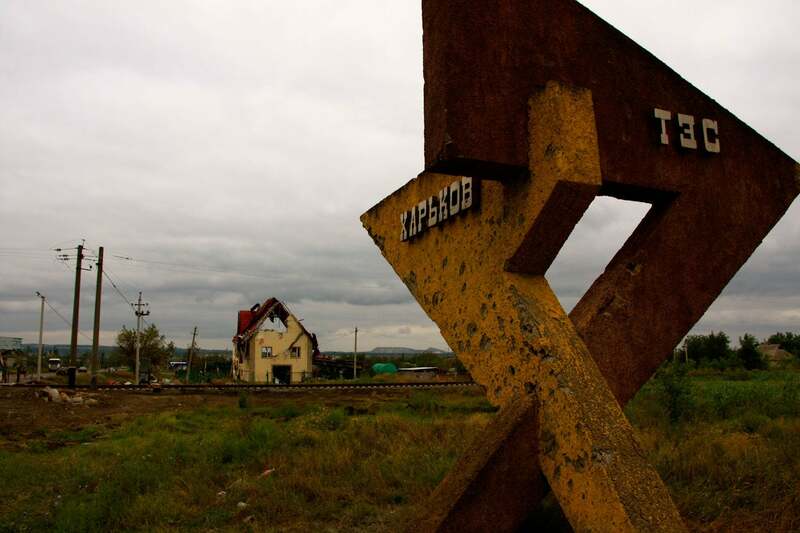 One month later, Russia launched a proxy war in Ukraine’s eastern Donbas region. That war, which is ongoing, along with the Crimean land grab were the opening salvos in Russia’s hybrid conflict against Western democracies—a gambit, some say, to fundamentally reshape the post-World War II world order. Russia’s actions “threaten the international order on which we all depend,” British Prime Minister Theresa May said in a speech on Monday. The war in Ukraine is not a civil war. It is, and has always been, a Russian invasion. “It’s not an internal strife. It’s not an ethnic conflict. It’s not an indigenous conflict. It is one where on the eastern side you have 100 percent Russian command and control of what’s happening there,” President Donald Trump’s special envoy to the Ukraine conflict, Kurt Volker, reportedly told a briefing in Washington on Nov. 3, according to a readout published on the Department of State’s website. Further, the war is no longer simply a regional conflict. In addition to Russia’s hybrid aggression against the West, the war in Ukraine is now at the nexus of an increasingly interwoven web of geopolitical interests—including China’s. 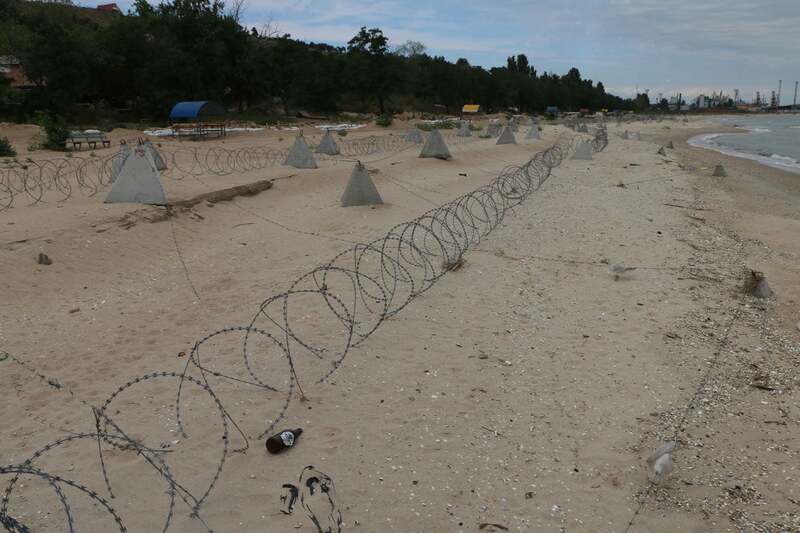 Beach defenses in the eastern Ukrainian city of Mariupol. Ukraine will be a key node in China’s One Belt, One Road (“New Silk Road”) trade route across Asia to Europe. According to the Chinese initiative, the Ukrainian port city of Odesa will be a key waypoint for Chinese trade into Europe. Chinese investment in Ukraine is already ramping up. Lawmakers recently awarded a contract to two Chinese companies to build a new subway line in Kyiv. One Chinese company has been dredging Ukraine’s Yuzhny port, and another has been tapped to repair roads in Ukraine necessary to transport goods into the European Union. At a recent forum in Kyiv, Chinese Ambassador to Ukraine Du Wei said the One Belt, One Road project would be “unthinkable” without Ukraine’s involvement. As Beijing’s economic interests deepen in Ukraine, it’s unclear how much tolerance China will have for Russian hybrid warfare aggression against Ukraine. 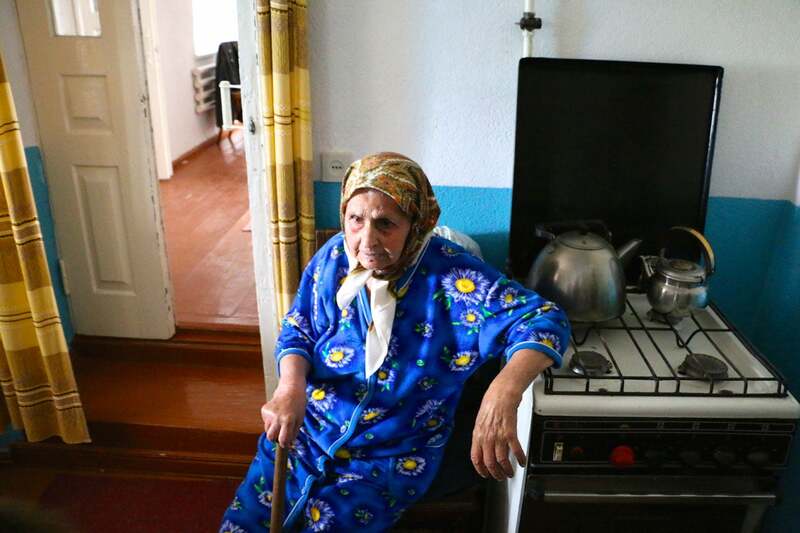 As Russia’s proxy war in eastern Ukraine nears its fifth calendar year, soldiers and civilians are still dying on both sides of the front lines in Ukraine’s southeastern Donbas region. It is a frozen war, which so far has killed more than 10,100 Ukrainians and created a long-term humanitarian catastrophe affecting millions more. Despite a February 2015 cease-fire, known as Minsk II, the war is not over. It’s a low intensity conflict, mainly fought from trenches and ad hoc forts along a 250-mile-long, static front line in the Donbas region. Fighting is mostly done at a distance, using indirect fire weapons like artillery, mortars, and rockets. 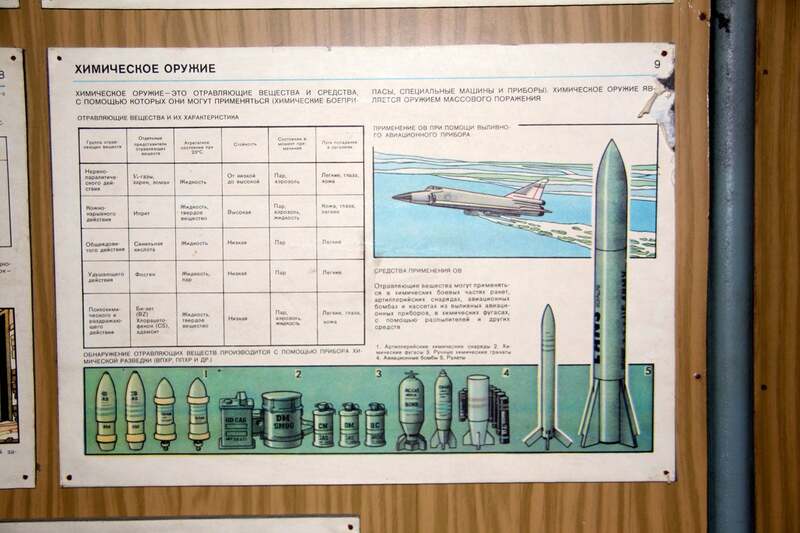 Inside a Soviet-era nuclear fallout shelter in the eastern Ukrainian city of Mariupol. The Organization for Security and Cooperation in Europe, or OSCE, is the multinational body charged with monitoring the Ukraine cease-fire. This year, OSCE cease-fire monitors have recorded more than 325,000 cease-fire violations in Ukraine, including 27,000 violations that involved the use of heavy weapons proscribed from the front lines by the Minsk II cease-fire. To be clear, each “cease-fire violation” is not an individual shot fired—it can comprise dozens of separate artillery, mortar, rocket, or small arms shots. Beyond Ukraine’s borders, the 44-month-old conflict still hangs like a sword of Damocles over Eastern Europe, spurring a regional race to militarize against the revanchist Russian threat that has upheaved the regional balance of power. To reassure its eastern members, NATO is rotating military forces across Eastern Europe. The Western alliance has also increased the number and frequency of its exercises in the region. Still, many Eastern European countries see Russian military aggression in Ukraine as an existential national security threat. Consequently, the Baltic countries—Estonia, Latvia, and Lithuania—are now among the most rapidly militarizing on earth. War has become a way of life along the front lines in eastern Ukraine. Poland, which shares a border with Ukraine, is also building up its military. Poland launched an ambitious 10-year defense project in 2015 aimed at upgrading its military forces and doubling its ranks to 150,000 soldiers. Poland raised its military expenditures by 13 percent between 2013 and 2014. In a 2016 interview with Radio Poland, Polish Defense Minister Antoni Macierewicz said Russia’s war in Ukraine spurred Poland’s military buildup. The U.S. and its NATO allies collectively overwhelm Russia in terms of both hard and soft power. “The Kremlin has no intention to engage in a full-scale conflict with the North Atlantic Alliance,” according to a 2017 report on Russian hybrid warfare by the National Institute for Strategic Studies of Ukraine, a Kyiv-based think tank. “[Russia] understands that their technological and economic backwardness will result in a definite and quick defeat,” the report said. Moreover, Russia’s diplomatic trustworthiness is shot after years of absurd denials of incontrovertible facts about the war in Ukraine, such as diplomatic shoulder shrugs about the identity of the group of patch-less Russian soldiers who invaded Crimea in March 2014, or claims that Russian soldiers captured while fighting in Ukraine were there on holiday. Yet, despite its weaknesses, Russia is a hybrid superpower with an unparalleled ability to control the world’s attention economy. Moscow does not lean on military force, economic clout, or diplomatic persuasion to shape world affairs to its interests. Rather, the Kremlin seeks to lower an alternate-reality shroud over both the civilian populations and the political institutions of its adversaries. Russian propaganda mouthpieces, such as RT and Sputnik, masquerade as alternative news outlets purporting to provide an unbiased alternative take on the news for which so many Western citizens are now clamoring. According to the United Nations, about 4 million people are at risk in the eastern Ukrainian war zone. Russia has built a worldwide empire of propaganda, which, thanks to the advent of the internet and social media, is able to directly target its adversaries’ civilian populations in ways the Soviet Union’s influence operations were never able to do during the Cold War. Additionally, historically low levels of confidence in media institutions among the populations of many Western democracies—the United States in particular—has made the citizens of Russia’s adversaries particularly vulnerable to propaganda manipulation. Relations between Russia and Ukraine remain locked one “Franz Ferdinand scenario” away from a much larger war, which could have global consequences. The two Russian-backed separatist territories in eastern Ukraine are among the most militarized parcels of land on earth. 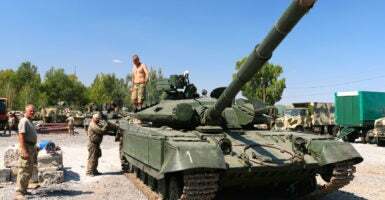 According to Ukrainian intelligence officials, combined Russian-separatist forces in eastern Ukraine currently wield 675 tanks, of which about 500 are operational. “Russia says they are not there, despite having up to 500 tanks—four times as many operational tanks as the British army—in addition to hundreds of other heavy weapons and thousands of Russian regular troops and mercenaries,” Klimkin, the Ukrainian foreign minister, told MailOnline, referring to Russia’s military presence in the Donbas. 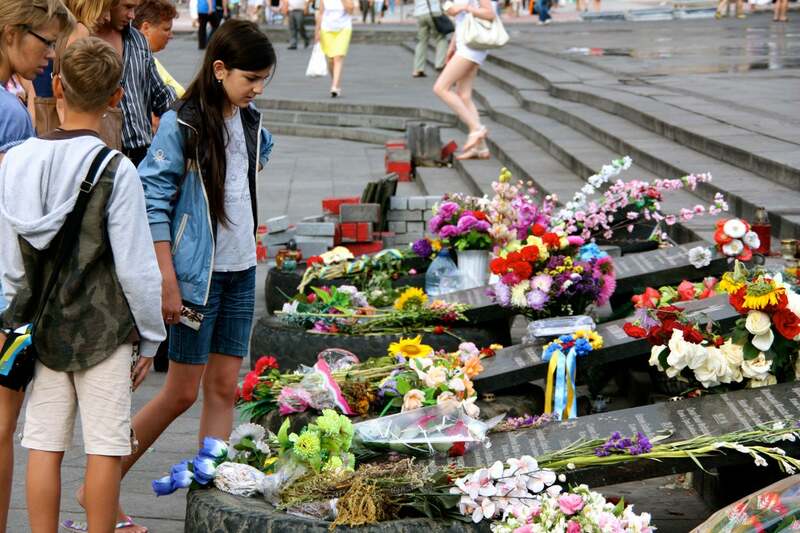 Memorials to fallen protesters in Kyiv’s central square—the Maidan—in the summer of 2014. Notwithstanding Kremlin statements to the contrary, Moscow is supplying the two breakaway separatist republics in eastern Ukraine with weapons, financial aid, military hardware, and its own troops—mainly for command and control purposes. 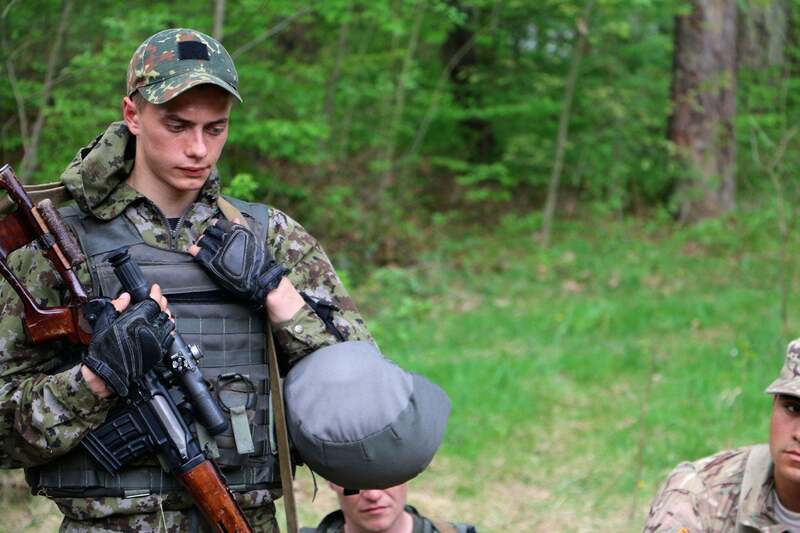 There are also foreign mercenaries fighting among the combined Russian-separatist forces. 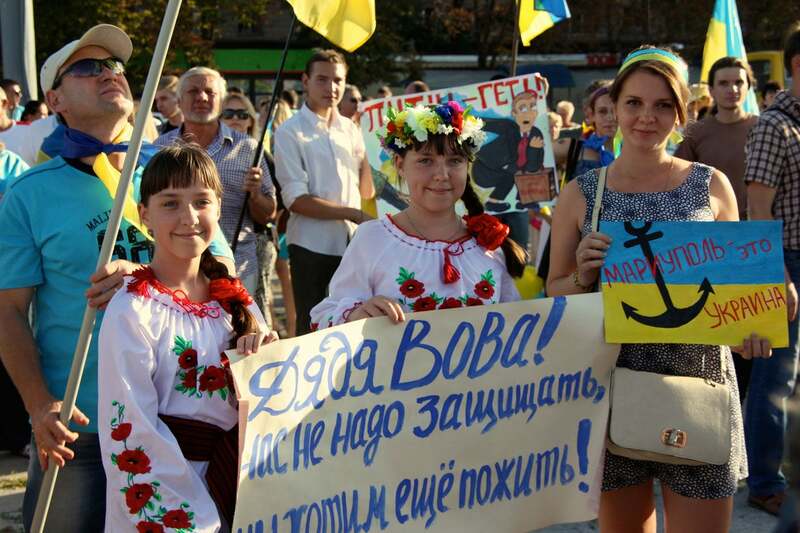 Russia’s proxy war has galvanized Ukrainian public opinion against Russia. Kyiv has named Russia as the “aggressor nation,” and has specifically rebuilt its military to defend against a Russian invasion from the east. Kyiv has also revamped its military industrial complex, climbing the ranks among the world’s top arms exporters. Four years ago, Ukraine had a defunct military, crippled after decades of corruption under successive pro-Russian governments in Kyiv. Today, the country fields a military force with about 250,000 active-duty soldiers and a reserve corps of 80,000. In terms of manpower alone, among European countries, only Russia has more soldiers than Ukraine. After almost four years, the Russo-Ukrainian war has frozen into a static, trench warfare shooting gallery. Neither side is fighting to take new ground, or to overwhelm the enemy with superior force. The conflict is not an acute crisis, but a grinding, de facto state of war between Ukraine and Russia. The objective, at this point in the conflict, is Balboan—to “go the distance” until a political solution is hashed out. Yet, the conflict remains a tinderbox ready to ignite, potentially engulfing an already skittish region into a larger conflagration. 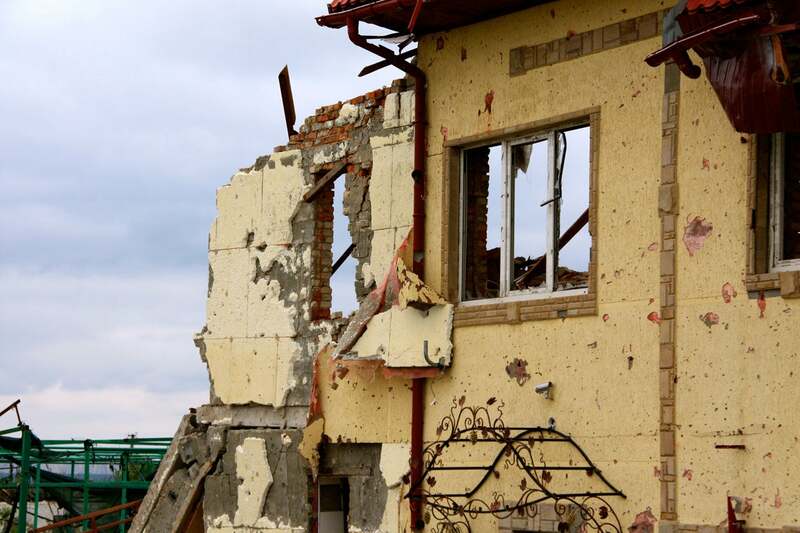 Battle scars outside the eastern Ukrainian city of Sloviansk in August 2014. About 60,000 Ukrainian soldiers are deployed to the eastern war zone—known as the Anti-Terrorist Operation zone, or ATO, among Ukrainian officials. On the other side of no man’s land in the Donbas, according to Ukrainian intelligence reports, combined Russian-separatist forces comprise about 34,000 separatists and foreign mercenaries, as well as about 3,000 Russian soldiers who serve, for the most part, in command and control positions. Altogether, Russia has about 60,000 troops deployed on Ukrainian soil in both Crimea and the Donbas, according to Ukrainian military officials. “Ukraine is crucial for [Russian President Vladimir] Putin’s legacy,” Slawomir Debski, director of the Polish Institute of International Affairs, told The Daily Signal.